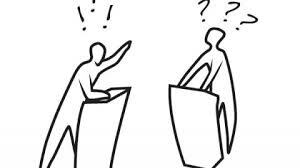 Debating and Public Speaking are an important part of school life. The ability to stand up in front of your peers and express your viewpoint, as well as analysing the merits and flaws in the arguments of others, will last a life time. It is an opportunity to communicate, persuade, listen, research, debate, compete and socialise. In first year, students are introduced to debating and public speaking in their English classroom. A first year debating league begins in November to allow the students to develop their skills in research, speech writing, performance and rebuttal. The second year debating league begins after Christmas allowing students a further opportunity to polish these skills. In third year, interested students take part in national competitions like the Junior Debating National Mace League. Transition year students can improve their debating prowess and tackle real world issues from a different perspective by taking part in the Model UN. All senior cycle students (TY, 5th and 6th) can try out for a place on one of our debating or public speaking teams. In the past few years, we have taken part in Concern Debates, Rigby Jones, Soroptimist Public Speaking, Leinster Schools’ Debating competition, PhilSpeaks and MHI Public Speaking competition. In 2013 our debating team won the Concern National Debating Final. As part of the prize, the team travelled to Ethiopia in the summer to visit some of Concern’s projects. Any student interested in taking part in debating/public speaking should ask their English teacher or check out the English notice board in the Social Area.